Bollywood is taking the world by storm, which means that more people than ever before are interested in watching movies in Hindi, a standardized and Sanskritised register of the Hindustani language and, along with English, the official language of India. While it may seem that Hindi movies are hard to come by on the internet, the opposite is actually true—you just need to know where to look for them. Advantages: Many options to choose from. You can start watching with a single click. No credit card or registration required. Online streaming sites work on any device with a web browser. Disadvantages: It’s not easy to know which online streaming sites are legitimate. Ads and pop-ups take away from the experience. There’s a new trend on the internet: watching movies on online streaming sites. No, we’re not talking about YouTube or other video-sharing sites that host user-generated content. Online streaming sites don’t actually host any content on their servers, but you can use them to watch full movies in Hindi or any other language. How’s that possible? Because they rely on third-party servers that host content for them. This makes online streaming sites at least somewhat legal, which is good news if you’re itching to see a Bollywood movie. This online streaming site allows you to watch Hindi movies and TV shows on your smartphone, tablet, TV, and computer. The site has everything from action to comedy to romance, and most content is available with English subtitles. You can sign up for a 14-day free trial to YuppFlix’s catalog of Bollywood movies. You will be charged only once the free trial has ended. 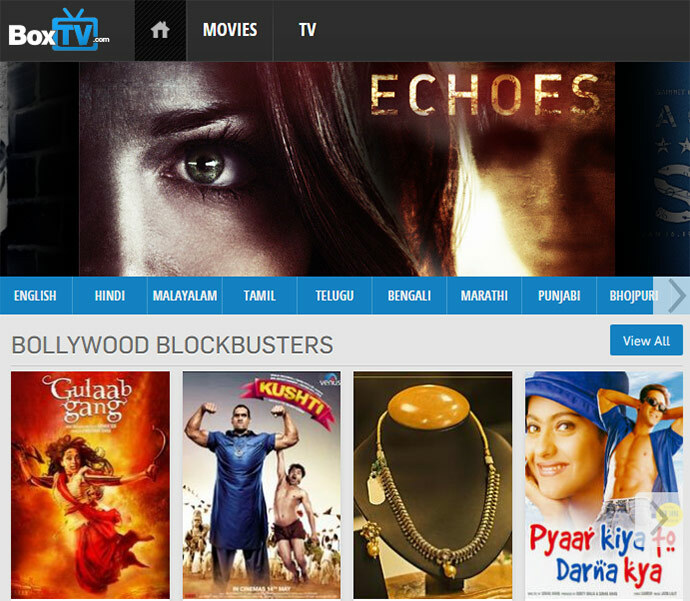 Hindi Movies Online is an independent online streaming site that features full-length movies in Hindi. A new movie is added almost every day, and there are already hundreds of movies to choose from. Many movies are available in HD quality, and Hindi Movies Online lets you lower the video quality to save bandwidth. Hotstar is an Indian digital and mobile entertainment platform with more than 100,000 hours of drama and movies in 17 languages. It was launched in 2015 by Star India, one of India’s largest media conglomerates, and it’s currently available on Web, Android, iOS, and Apple TV platforms. Unfortunately, Hotstar isn’t available for residents in Europe. To access the site from Europe, you need to use a VPN service to get an Indian IP address. Just like Hotstar, BoxTV is only available to people living in certain regions, which include India, Singapore, UAE, United Kingdom, and United States. If you don’t live in one of these regions, you can still access this over-the-top (OTT) subscription service offering on-demand video streaming using a VPN service. We recommend Private Internet Access because this reputable provider has servers in most countries around the world and its prices start at just $2.91/mo. There are surprisingly many channels on YouTube where you can watch full Hindi movies without paying. Some of these channels have older movies that are no longer copyrighted, but it’s also possible to find recent Bollywood hits and everything in between. Advantages: Loads of content. No ads, pop-ups, or malicious links. Fast download speeds. Movies in very high quality. Disadvantages: It’s possible to create a user account only a few times a year. Many internet service providers block torrent sites. DesiTorrents is well-known private torrent tracker where you can find Bollywood, Tollywood, Sufi, Bengali, and other movies. The site is excellent for beginners because all movies that you can find on it are legitimate and masterfully presented. Like most private torrent trackers, DesiTorrents requires its users to maintain a certain seed: leech ratio, which is fairly easy thanks to its active community of users and generous download bonuses. Movies on DesiTorrents are available in up to 4K, and you can narrow them down by category: Bollywood, Bengali, Kollywood, Punjabi, Marathi, Malayalam, Sandalwood, Gujarati, Foreign, Lollywood, Hollywood, Tollywood, South Dubbed, and documentary. The only problem with DesiTorrents is that it’s very hard to register on the site. Not that the process itself is difficult, but DesiTorrents opens its doors to new users only a couple of times a year and invitations are not easy to come by. Fortunately for you, we know how to find out when it’s possible to register on DesiTorrents. Enter “https://opentrackers.org/desitorrents/” into the first field (without the quotation marks) and click the green Go button. Wait for the initial snapshot to be captured. Change the size of the box to cover most of the page (you can leave out the comments section). Enter your email address into the “Send notifications to” field. Select how often you want VisualPing to look for changes. We recommend you check the site every day. Click the “START FREE MONITORING!” button. When OpenTrackers announces that DesiTorrents is open, VisualPing will detect the change and alert you so you don’t miss out on the opportunity to create a user account and enjoy the best private torrent tracker for Bollywood, Tollywood, Sufi, and Bengali movies. Alternatively, you can try to find someone who’s already a member of DesiTorrents and ask for an invitation. A good place where to start is TorrentInvites, which is a place where people trade invites for all the highly desired private torrent trackers, including HDBits.org, BroadcasThe.Net (BTN), PassThePopcorn (PTP), Apollo, Bibliotik, HD-Torrents, Empornium, Waffles.ch, BitMe, BitMeTV, morethan.tv (MTV), IPTorrents (IPT), TorrentLeech (TL), and, of course, DesiTorrents.